Miss the December 13th Workshop? Fill out the below info form to download the seminar workbook. 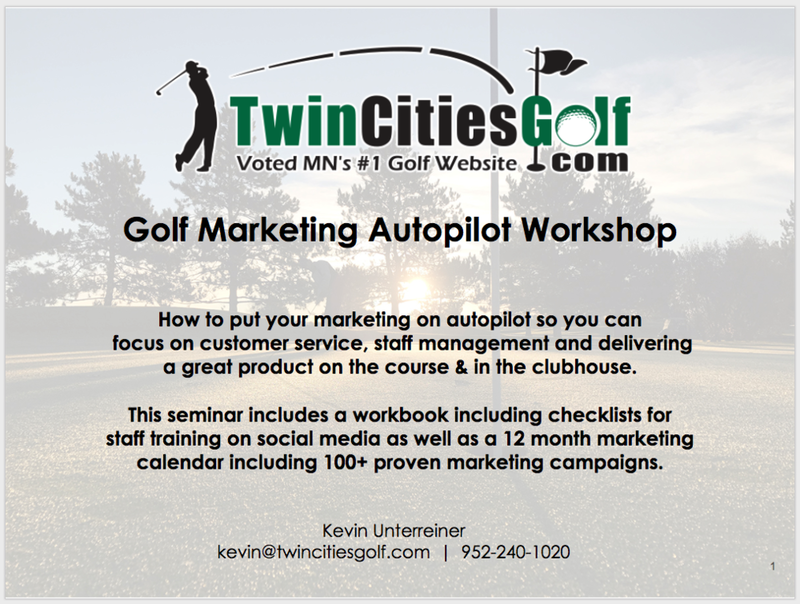 We’ll host a Social Media Marketing for Golf Courses seminar in February. How to create a month-by-month marketing plan. Checklist for your website (critical for ranking high in search engines). Email marketing Do’s and Dont’s in 2019 (including how often you should eblast - it’s different now fyi). How to manage social media in 15 minutes a day (Facebook, Twitter, Instagram, YouTube, Snapchat, LinkedIn). How to keep a 4.0 or better online reputation (and negatives off the first page). 19 ways to generate an extra $5,000 in 2019 (yep, that’s $95,000). How to get on the first page of google for searches. Why your Google business listing may be your most important marketing tool (and how to manage it). How to create a ONE PAGE monthly report that tells you if your marketing is working. How some of the marketing you may currently be doing might actually be hurting more than helping. Is it time to upgrade your teesheet/ POS to cloud-based? Should you be spending money on PayPerClick (or Facebook boosting)? How to train staff to help with social media. How to add thousands of emails a year to your database. $29 per person includes the 3 hour seminar, workbook, lunch and a marketing analysis of your current website, online reputation & social media.